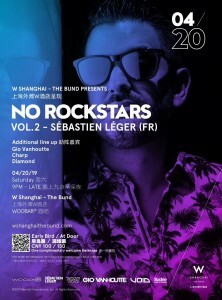 After a legendary debut with Citizenn in February at W Shanghai - The Bund, ‘NO ROCKSTARS’ is back on the 20th of April to present you one of the hottest nights the Shanghai crowd has seen this season. For the second edition we are presenting you one of the key members of Lee Burridge's globe-trotting open-air party, Sébastien Léger from All Day I Dream. 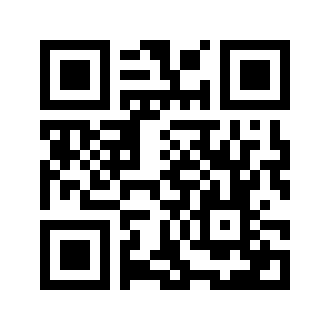 Expect all-night fun, dancing and pure hedonist beats blasting from a VOID sound system! French electronic artist Sébastien Léger has taken an unorthodox approach to his musical career resulting in a unique creative output. Over the last 20 years he has learned to adapt to the ever-changing face of Dance Music. 'Staying true to yourself and believing in your own abilities are the key to being able to thrive and develop over such a long period.' 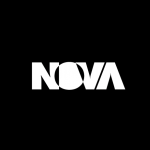 This distinctive ability, is something only a handful of artists can call their own. Whilst both his parents are classically trained musicians, it was only a matter of time before Sébastien took his first steps into this same world. Drawing his early inspirations from Michael Jackson’s ‘Thriller’ album, which provides an eclectic journey spanning across the Rock ‘N Roll, Soul and Funk genres, Sébastien has taken this mould and turned it into something entirely different and his own. Releasing music over a 20+ year career, including 4 studio albums and countless EP’s on a variety of labels such as his own imprint Mistakes Music, Einmusika Recordings, Systematic Recordings and Dubfire’s SCI + TEC. Sébastien’s powerful melodic Techno with injections of groove and funk are the key to his signature sound that has earnt him a long and fruitful career with one key objective - Keep the dancefloor moving. His latest single ‘Lanarka’ released last month climbed to NO. 1 on the Beatport overall chart in less than a week. Perceptions from others and including an especially critical dancefloor community can lead to an artist to change their style and fit a certain category, however in Sébastien’s case he worked tirelessly to make sure he creates a musical output that is representative of his emotions and music that is for him. Straight talking Sébastien devotes all his emotions into his music and enjoys making people feel the same way. Throughout his career, Sébastien has constantly walked the knife edge between entertaining himself and keeping the crowd moving. Considering his job as more of a hobby is a gift and one that Sébastien holds in high regard. Looking towards the future, Sébastien’s tour schedule is packed and will see him perform in some of the world’s most sought after venues. 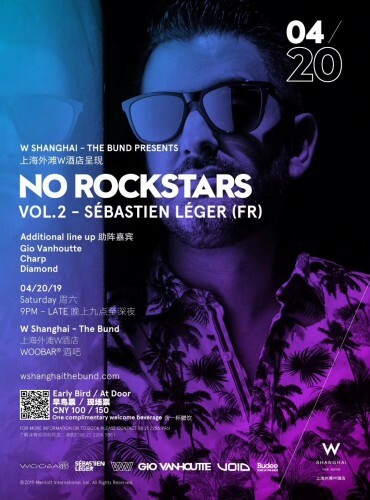 Never straying from his musical path, Sébastien Léger certainly shows no signs of slowing down and invites you to ‘Open your mind, don’t except the norm’ with him together on April 20th!